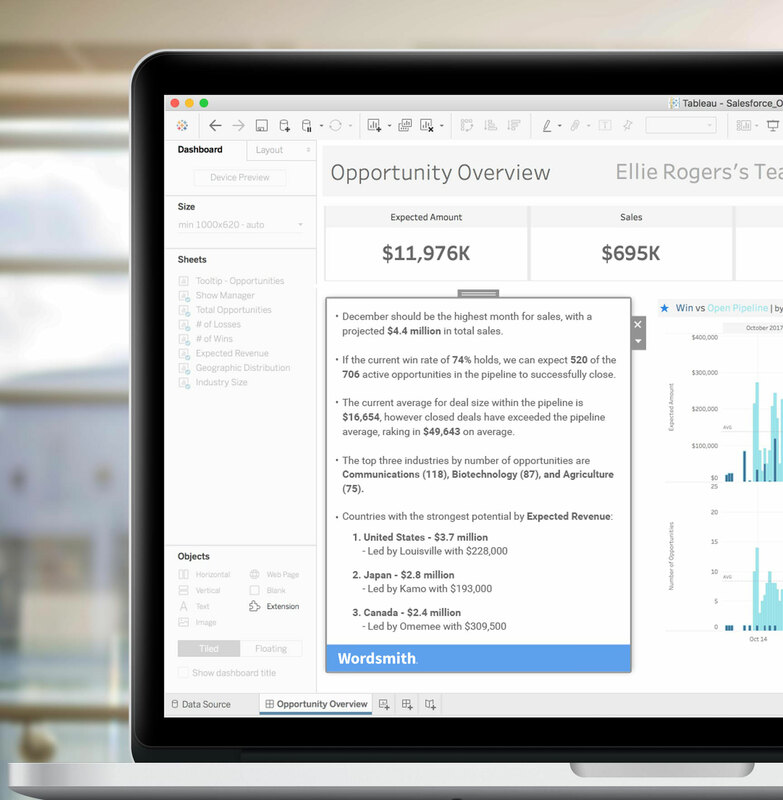 Automatically generate easy-to-understand, written analysis in your Tableau dashboards. 10,000+ agents, 250+ field sales leaders, 40+ territory sales leaders, all spread across 14 regional markets. That’s the breadth of Allstate’s massive sales organization, as laid out during their Tableau Conference session: Empowering leaders with Natural Language Generation. Allstate’s analytics team relies on Tableau to share valuable data and sales information to this group; however, even leveraging Tableau, working to support all of the Allstate sales field can be a challenge. The sheer amount of data, insights, and end-users provides analysts the near-impossible task of supporting each and every individual user of their dashboards. Having access to the data displayed in Tableau was never an issue for Allstate’s sales field. Where the sales field ran into problems was knowing exactly what to do about it because the amount of data was too overwhelming for them. As a result, Allstate’s analytics team noticed low adoption and engagement with their dashboards. With 4 key problems identified—data overload, misinterpretation, analysis paralysis, and lack of time—Allstate turned to Automated Insights for a new solution that would help them better reach their audience, scale their manual efforts, and increase the adoption rate of their dashboards. 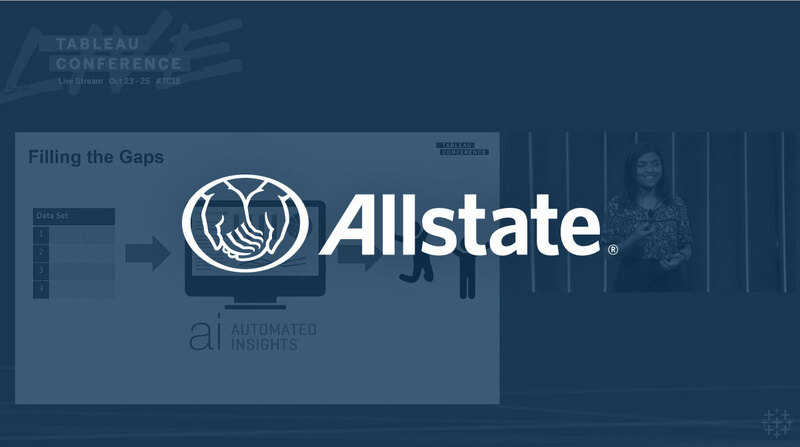 By integrating the Wordsmith for Tableau Extension with their existing sales quota dashboard, Allstate was able to automatically turn their data into clear, natural language—all directly in Tableau. With this new integration and approach to Tableau, Allstate flipped the traditional reporting process on its head. 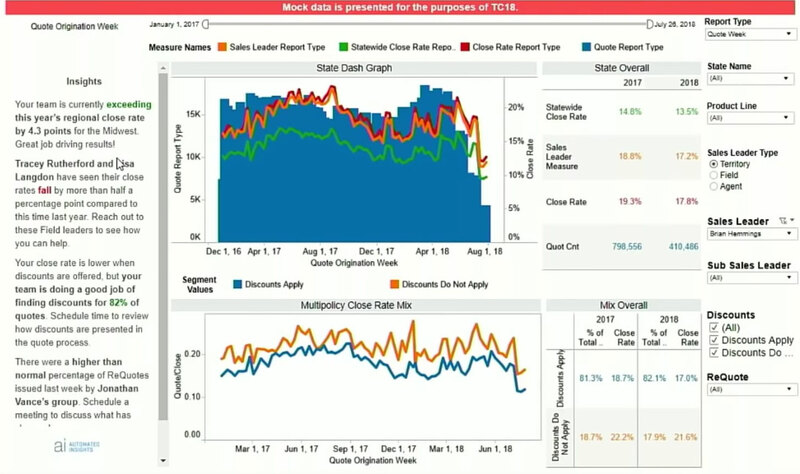 Instead of creating a dashboard with visualizations to broadly support thousands of different people, Allstate now leverages the Wordsmith for Tableau Extension to create that same dashboard to individually support each agent, field sales leader, and territory sales leader with insights and action items tailored to their specific performances and goals. With personalized analysis presented in clear, natural language, Allstate is empowering its sales team to make their own data driven decisions. This new approach to communicating a dashboard addresses the common problem: one analyst to many users. What was once a near-impossible task of supporting each and every individual user, now is made possible with Automated Insights. 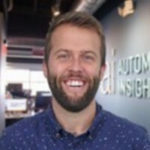 Matt Hunter is a Marketing Manager at Automated Insights, where he's responsible for brand, content strategy, and strategic demand generation initiatives. He’s passionate about solving problems with storytelling, creativity, and design.